The Light Blue Small Brick Stitch Earring Kit is a complete earring making kit for adults from BeadSphere. Kit includes Miyuki size 11 beads, Miyuki bugle beads, sterling silver ear wires, spool of NYMO beading thread, beading needles, and detailed step-by-step instructions with full-color diagrams. All the quality beads & findings you need to make one pair of beaded earrings! Completed earrings measure approx. 2-1/2 inches long from the top of the ear wire. This is an easy earring making kit for beginners to learn basic bead stitching techniques. 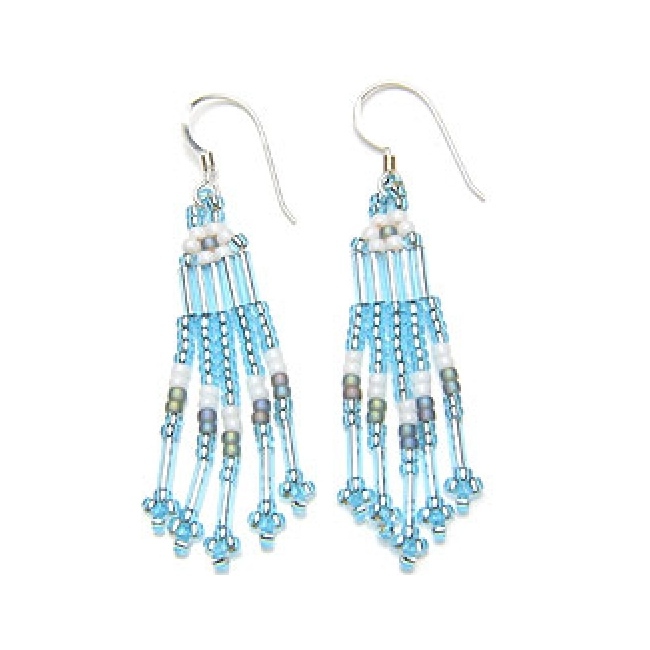 It's also a fun beaded jewelry kit for experienced crafters to make a pair of beaded earrings in less than 2 hours!